Tong Q, He H, Gong T, Li C, Liang P, Qian T, Sun Y, Ding Q, Li K, Zhong J. "Reproducibility of multi-shell diffusion tractography on traveling subjects: A multicenter study prospective." Magnetic resonance imaging.. 2019 Feb 21; Epub 2019 Feb 21. Cai C, Wang C, Zeng Y, Cai S, Liang D, Wu Y, Chen Z, Ding X, Zhong J. "Single-shot T mapping using overlapping-echo detachment planar imaging and a deep convolutional neural network." Magnetic resonance in medicine.. 2018 Nov 0; 80(5):2202-2214. Epub 2018 Apr 24. Wu Z, Bilgic B, He H, Tong Q, Sun Y, Du Y, Setsompop K, Zhong J. "Wave-CAIPI ViSTa: highly accelerated whole-brain direct myelin water imaging with zero-padding reconstruction." Magnetic resonance in medicine.. 2018 Sep 0; 80(3):1061-1073. Epub 2018 Feb 01. Liao C, Wang K, Cao X, Li Y, Wu D, Ye H, Ding Q, He H, Zhong J. "Detection of Lesions in Mesial Temporal Lobe Epilepsy by Using MR Fingerprinting." Radiology.. 2018 Sep 0; 288(3):804-812. Epub 2018 Jun 19. Li Q, Liao C, Ye H, Chen Y, Cao X, Yuan L, He H, Zhong J. "Squeezed Trajectory Design for Peak RF and Integrated RF Power Reduction in Parallel Transmission MRI." IEEE transactions on medical imaging.. 2018 Aug 0; 37(8):1809-1821. Epub 2018 Apr 18. Chen HJ, Wen J, Qi R, Zhong J, Schoepf UJ, Varga-Szemes A, Lesslie VW, Kong X, Wang YF, Xu Q, Zhang Z, Li X, Lu GM, Zhang LJ. "Re-Establishing Brain Networks in Patients with ESRD after Successful Kidney Transplantation." Clinical journal of the American Society of Nephrology : CJASN.. 2018 Jan 6; 13(1):109-117. Epub 2017 Oct 18. Zhuang Y, Potchen MJ, Kampondeni SD, Tivarus M, Birbeck GL, Zhong J. "Validation of diffusion measurements obtained on a 0.35T MR in Malawi: Important insights for radiologists in low income settings with low field MRI." Magnetic resonance imaging.. 2018 Jan 0; 45:120-128. Epub 2017 Oct 12. Zhao N, Yuan LX, Jia XZ, Zhou XF, Deng XP, He HJ, Zhong J, Wang J, Zang YF. "Intra- and Inter-Scanner Reliability of Voxel-Wise Whole-Brain Analytic Metrics for Resting State fMRI." Frontiers in neuroinformatics.. 2018 12:54. Epub 2018 Aug 21. Liao C, Bilgic B, Manhard MK, Zhao B, Cao X, Zhong J, Wald LL, Setsompop K. "3D MR fingerprinting with accelerated stack-of-spirals and hybrid sliding-window and GRAPPA reconstruction." NeuroImage.. 2017 Nov 15; 162:13-22. Epub 2017 Aug 24. Zhuang Y, Qiu X, Wang L, Ma Q, Mapstone M, Luque A, Weber M, Tivarus M, Miller E, Arduino RC, Zhong J, Schifitto G. "Combination antiretroviral therapy improves cognitive performance and functional connectivity in treatment-naïve HIV-infected individuals." Journal of neurovirology.. 2017 Oct 0; 23(5):704-712. Epub 2017 Aug 08. Zheng LJ, Su YY, Wang YF, Zhong J, Liang X, Zheng G, Lu GM, Zhang LJ. "Altered spontaneous brain activity pattern in cognitively normal young adults carrying mutations of APP, presenilin-1/2 and APOE ?4." European journal of radiology.. 2017 Oct 0; 95:18-23. Epub 2017 Jul 17. Liao C; Bilgic B; Manhard MK; Zhao B; Cao X; Zhong J; Wald LL; Setsompop K. "3D MR fingerprinting with accelerated stack-of-spirals and hybrid sliding-window and GRAPPA reconstruction". NeuroImage. 2017; Epub 2017 Aug.
Liao C, Chen Y, Cao X, Chen S, He H, Mani M, Jacob M, Magnotta V, Zhong J. "Efficient parallel reconstruction for high resolution multishot spiral diffusion data with low rank constraint." Magnetic resonance in medicine.. 2017 Mar 0; 77(3):1359-1366. Epub 2016 Mar 10. Lin M; He H; Tong Q; Ding Q; Yan X; Feiweier T; Zhong J. "Effect of myelin water exchange on DTI-derived parameters in diffusion MRI: Elucidation of TE dependence." Magnetic resonance in medicine. 2017; Epub 2017 Jun 27. Wu Z; He H; Sun Y; Du Y; Zhong J. "High resolution myelin water imaging incorporating local tissue susceptibility analysis." Magnetic resonance imaging. 2017; Epub 2017. Cai C; Zeng Y; Zhuang Y; Cai S; Chen L; Ding X; Bao L; Zhong J; Chen Z. "Single-shot T2 mapping through Overlapping-echo Detachment (OLED) Planar Imaging." IEEE transactions on bio-medical engineering. 2017; Epub. Chen Y; Liao Y; Yuan L; Liu H; Yun SD; Shah NJ; Chen Z; Zhong J. "Referenceless one-dimensional Nyquist ghost correction in multicoil single-shot spatiotemporally encoded MRI." Magnetic resonance imaging. 2017; 37():222-233. Qi R, Liu C, Ke J, Xu Q, Zhong J, Wang F, Zhang LJ, Lu GM. "Intrinsic brain abnormalities in irritable bowel syndrome and effect of anxiety and depression." Brain imaging and behavior.. 2016 Dec 0; 10(4):1127-1134. Lin Y, Lin L, Wei Z, Zhong J, Chen Z. "Localized one-dimensional single voxel magnetic resonance spectroscopy without J coupling modulations." Magnetic resonance in medicine.. 2016 Dec 0; 76(6):1661-1667. Epub 2015 Dec 14. Lin M, He H, Schifitto G, Zhong J. "Simulation of changes in diffusion related to different pathologies at cellular level after traumatic brain injury." Magnetic resonance in medicine.. 2016 Jul 0; 76(1):290-300. Epub 2015 Aug 10. Liu B, Qiu X, Zhu T, Tian W, Hu R, Ekholm S, Schifitto G, Zhong J. "Improved spatial regression analysis of diffusion tensor imaging for lesion detection during longitudinal progression of multiple sclerosis in individual subjects." Physics in medicine and biology.. 2016 Mar 21; 61(6):2497-513. Epub 2016 Mar 07. Yuan L; He H; Zhang H; Zhong J. "Evaluating the Influence of Spatial Resampling for Motion Correction in Resting-State Functional MRI." Frontiers in neuroscience. 2016; 10():591;. Cao X; Liao C; Wang Z; Chen Y; Ye H; He H; Zhong J. "Robust sliding-window reconstruction for Accelerating the acquisition of MR fingerprinting." Magnetic resonance in medicine. 2016; Epub 2016 Nov 07. Liu B, Qiu X, Zhu T, Tian W, Hu R, Ekholm S, Schifitto G, Zhong J. "Spatial regression analysis of serial DTI for subject-specific longitudinal changes of neurodegenerative disease." NeuroImage. Clinical.. 2016 11:291-301. Epub 2016 Feb 21. Xu X, Wang Q, Zhong J, Zhang M. "Iron deposition influences the measurement of water diffusion tensor in the human brain: a combined analysis of diffusion and iron-induced phase changes." Neuroradiology.. 2015 Nov 0; 57(11):1169-78. Epub 2015 Aug 26. Mani M, Jacob M, Magnotta V, Zhong J. "Fast iterative algorithm for the reconstruction of multishot non-cartesian diffusion data." Magnetic resonance in medicine.. 2015 Oct 0; 74(4):1086-94. Epub 2014 Oct 16. Qi R, Zhang LJ, Chen HJ, Zhong J, Luo S, Ke J, Xu Q, Kong X, Liu C, Lu GM. "Role of local and distant functional connectivity density in the development of minimal hepatic encephalopathy." Scientific reports.. 2015 Sep 2; 5:13720. Epub 2015 Sep 02. Bao J, Cui X, Huang Y, Zhong J, Chen Z. "Resolution enhancement in MR spectroscopy of red bone marrow fat via intermolecular double-quantum coherences." Physics in medicine and biology.. 2015 Aug 21; 60(16):6391-406. Epub 2015 Aug 03. Cheng Y, Huang L, Zhang X, Zhong J, Ji Q, Xie S, Chen L, Zuo P, Zhang LJ, Shen W. "Liver transplantation nearly normalizes brain spontaneous activity and cognitive function at 1 month: a resting-state functional MRI study." Metabolic brain disease.. 2015 Aug 0; 30(4):979-88. Epub 2015 Feb 24. Anderson AM, Harezlak J, Bharti A, Mi D, Taylor MJ, Daar ES, Schifitto G, Zhong J, Alger JR, Brown MS, Singer EJ, Campbell TB, McMahon DD, Buchthal S, Cohen R, Yiannoutsos C, Letendre SL, Navia BA, . "Plasma and Cerebrospinal Fluid Biomarkers Predict Cerebral Injury in HIV-Infected Individuals on Stable Combination Antiretroviral Therapy." Journal of acquired immune deficiency syndromes : JAIDS.. 2015 May 1; 69(1):29-35. Chen Y, Chen S, Zhong J, Chen Z. "Reference-free unwarping of single-shot spatiotemporally encoded MRI using asymmetric self-refocused echoes acquisition." Journal of magnetic resonance.. 2015 May 0; 254:1-9. Epub 2015 Feb 20. Chen Y, Cai C, Zhong J, Chen Z. "Water-fat separation from a single spatiotemporally encoded echo based on nominal k-space peaking and joint regularized estimation." Magnetic resonance in medicine.. 2015 Apr 0; 73(4):1441-9. Epub 2014 May 05. Liu B, Zhu T, Zhong J. "Comparison of quality control software tools for diffusion tensor imaging." Magnetic resonance imaging.. 2015 Apr 0; 33(3):276-85. Epub 2014 Nov 07. Wei Z, Lin L, Wang C, Yang J, Liu G, Zhong J, Lin Y, Chen Z. "High-resolution localized spatiotemporal encoding correlated spectra under inhomogeneous magnetic fields via asymmetrical gradient encoding/decoding." NMR in biomedicine.. 2015 Feb 0; 28(2):210-6. Epub 2014 Dec 12. Li J, Chen L, Cai S, Cai C, Zhong J, Chen Z. "Imaging with referenceless distortion correction and flexible regions of interest using single-shot biaxial spatiotemporally encoded MRI." NeuroImage.. 2015 Jan 15; 105:93-111. Epub 2014 Oct 22. Mani M, Jacob M, Guidon A, Magnotta V, Zhong J. "Acceleration of high angular and spatial resolution diffusion imaging using compressed sensing with multichannel spiral data." Magnetic resonance in medicine.. 2015 Jan 0; 73(1):126-38. Epub 2014 Jan 17. Tivarus ME, Pester B, Schmidt C, Lehmann T, Zhu T, Zhong J, Leistritz L, Schifitto G. "Are Structural Changes Induced by Lithium in the HIV Brain Accompanied by Changes in Functional Connectivity?" PloS one.. 2015 10(10):e0139118. Epub 2015 Oct 05. Zhang LJ, Zheng G, Zhang L, Zhong J, Li Q, Zhao TZ, Lu GM. "Disrupted small world networks in patients without overt hepatic encephalopathy: a resting state fMRI study." European journal of radiology.. 2014 Oct 0; 83(10):1890-9. Epub 2014 Jul 02. Zheng G, Wen J, Zhang L, Zhong J, Liang X, Ke W, Kong X, Zhao T, He Y, Zuo X, Luo S, Zhang LJ, Lu GM. "Altered brain functional connectivity in hemodialysis patients with end-stage renal disease: a resting-state functional MR imaging study." Metabolic brain disease.. 2014 Sep 0; 29(3):777-86. Epub 2014 May 21. Qu X, Hou Y, Lam F, Guo D, Zhong J, Chen Z. "Magnetic resonance image reconstruction from undersampled measurements using a patch-based nonlocal operator." Medical image analysis.. 2014 Aug 0; 18(6):843-56. Epub 2013 Oct 16. Ni L, Wen J, Zhang LJ, Zhu T, Qi R, Xu Q, Liang X, Zhong J, Zheng G, Lu GM. "Aberrant default-mode functional connectivity in patients with end-stage renal disease: a resting-state functional MR imaging study." Radiology.. 2014 May 0; 271(2):543-52. Epub 2014 Jan 24. Lin Y, Zhang Q, Wei Z, Cai S, Zhong J, Chen Z. "Ultrafast localized two-dimensional magnetic resonance correlated spectroscopy via spatially encoded technique." Magnetic resonance in medicine.. 2014 Mar 0; 71(3):903-10. Ni L, Qi R, Zhang LJ, Zhong J, Zheng G, Wu X, Fan X, Lu GM. "Brain regional homogeneity changes following transjugular intrahepatic portosystemic shunt in cirrhotic patients support cerebral adaptability theory--a resting-state functional MRI study." European journal of radiology.. 2014 Mar 0; 83(3):578-83. Epub 2013 Nov 15. Sundal C, Jönsson L, Ljungberg M, Zhong J, Tian W, Zhu T, Linden T, Börjesson-Hanson A, Andersen O, Ekholm S. "Different stages of white matter changes in the original HDLS family revealed by advanced MRI techniques." Journal of neuroimaging : official journal of the American Society of Neuroimaging.. 2014 24(5):444-52. Epub 2013 Jun 10. Bazarian JJ, Zhu T, Zhong J, Janigro D, Rozen E, Roberts A, Javien H, Merchant-Borna K, Abar B, Blackman EG. "Persistent, long-term cerebral white matter changes after sports-related repetitive head impacts." PloS one.. 2014 9(4):e94734. Epub 2014 Apr 16. Qi R, Zhang LJ, Zhong J, Zhu T, Zhang Z, Xu C, Zheng G, Lu GM. "Grey and white matter abnormalities in minimal hepatic encephalopathy: a study combining voxel-based morphometry and tract-based spatial statistics." European radiology.. 2013 Dec 0; 23(12):3370-8. Epub 2013 Jul 10. Bao J, Cui X, Cai S, Zhong J, Cai C, Chen Z. "Brown adipose tissue mapping in rats with combined intermolecular double-quantum coherence and Dixon water-fat MRI." NMR in biomedicine.. 2013 Dec 0; 26(12):1663-71. Epub 2013 Jul 15. Zhang LJ, Wen J, Ni L, Zhong J, Liang X, Zheng G, Lu GM. "Predominant gray matter volume loss in patients with end-stage renal disease: a voxel-based morphometry study." Metabolic brain disease.. 2013 Dec 0; 28(4):647-54. Epub 2013 Sep 26. Zhu T, Hu R, Tian W, Ekholm S, Schifitto G, Qiu X, Zhong J. "SPatial REgression Analysis of Diffusion tensor imaging (SPREAD) for longitudinal progression of neurodegenerative disease in individual subjects." Magnetic resonance imaging.. 2013 Dec 0; 31(10):1657-67. Epub 2013 Oct 05. Zheng G, Zhang LJ, Zhong J, Wang Z, Qi R, Shi D, Lu GM. "Cerebral blood flow measured by arterial-spin labeling MRI: a useful biomarker for characterization of minimal hepatic encephalopathy in patients with cirrhosis." European journal of radiology.. 2013 Nov 0; 82(11):1981-8. Epub 2013 Jul 09. Gongvatana A, Harezlak J, Buchthal S, Daar E, Schifitto G, Campbell T, Taylor M, Singer E, Algers J, Zhong J, Brown M, McMahon D, So YT, Mi D, Heaton R, Robertson K, Yiannoutsos C, Cohen RA, Navia B, . "Progressive cerebral injury in the setting of chronic HIV infection and antiretroviral therapy." Journal of neurovirology.. 2013 Jun 0; 19(3):209-18. Epub 2013 Apr 24. Chen Y, Li J, Qu X, Chen L, Cai C, Cai S, Zhong J, Chen Z. "Partial Fourier transform reconstruction for single-shot MRI with linear frequency-swept excitation." Magnetic resonance in medicine.. 2013 May 0; 69(5):1326-36. Epub 2012 Jun 15. Qi R, Zhang LJ, Zhong J, Zhang Z, Ni L, Zheng G, Lu GM. "Disrupted thalamic resting-state functional connectivity in patients with minimal hepatic encephalopathy." European journal of radiology.. 2013 May 0; 82(5):850-6. Epub 2013 Jan 17. Zhu T, Zhong J, Hu R, Tivarus M, Ekholm S, Harezlak J, Ombao H, Navia B, Cohen R, Schifitto G. "Patterns of white matter injury in HIV infection after partial immune reconstitution: a DTI tract-based spatial statistics study." Journal of neurovirology.. 2013 Feb 0; 19(1):10-23. Epub 2012 Nov 21. Xue, H; Boyle, CP; Harezlak, J; Tate, DF; Yiannoutsos, CT; Cohen, R; Schifitto, G; Gongvatana, A; Zhong, J; Zhu, T; Taylor, MJ; Campbell, T; Daar, E; Alger, JR; Singer, E; Buchthal, S; Toga, AW; Navia, B; Thompson, PM; and the HIV Neuroimaging Consortium. "Disrupted Cerebral Metabolite LEvels and Lower Nadir CD4+ COunts are Linked to Brain Volume Deficits in 210 HIV-infected Patients on Stable Treatment". NeuroImaging-Clinical. 2013; . Bazarian JJ, Donnelly K, Peterson DR, Warner GC, Zhu T, Zhong J. "The relation between posttraumatic stress disorder and mild traumatic brain injury acquired during Operations Enduring Freedom and Iraqi Freedom." The Journal of head trauma rehabilitation.. 2013 28(1):1-12. Zhang LJ, Qi R, Zhong J, Ni L, Zheng G, Xu J, Lu GM. "Disrupted functional connectivity of the anterior cingulate cortex in cirrhotic patients without overt hepatic encephalopathy: a resting state fMRI study." PloS one.. 2013 8(1):e53206. Epub 2013 Jan 07. Qi R, Zhang LJ, Zhong J, Zhang Z, Ni L, Jiao Q, Liao W, Zheng G, Lu G. "Altered effective connectivity network of the basal ganglia in low-grade hepatic encephalopathy: a resting-state fMRI study with Granger causality analysis." PloS one.. 2013 8(1):e53677. Epub 2013 Jan 11. Marchi N, Bazarian JJ, Puvenna V, Janigro M, Ghosh C, Zhong J, Zhu T, Blackman E, Stewart D, Ellis J, Butler R, Janigro D. "Consequences of repeated blood-brain barrier disruption in football players." PloS one.. 2013 8(3):e56805. Epub 2013 Mar 06. Liang X, Wen J, Ni L, Zhong J, Qi R, Zhang LJ, Lu GM. "Altered pattern of spontaneous brain activity in the patients with end-stage renal disease: a resting-state functional MRI study with regional homogeneity analysis." PloS one.. 2013 8(8):e71507. Epub 2013 Aug 22. Hua X, Boyle CP, Harezlak J, Tate DF, Yiannoutsos CT, Cohen R, Schifitto G, Gongvatana A, Zhong J, Zhu T, Taylor MJ, Campbell TB, Daar ES, Alger JR, Singer E, Buchthal S, Toga AW, Navia B, Thompson PM, . "Disrupted cerebral metabolite levels and lower nadir CD4 + counts are linked to brain volume deficits in 210 HIV-infected patients on stable treatment." NeuroImage. Clinical.. 2013 3:132-42. Epub 2013 Aug 03. Zhang LJ, Zheng G, Zhang L, Zhong J, Wu S, Qi R, Li Q, Wang L, Lu G. "Altered brain functional connectivity in patients with cirrhosis and minimal hepatic encephalopathy: a functional MR imaging study." Radiology.. 2012 Nov 0; 265(2):528-36. Epub 2012 Sep 20. Qi R, Zhang L, Wu S, Zhong J, Zhang Z, Zhong Y, Ni L, Zhang Z, Li K, Jiao Q, Wu X, Fan X, Liu Y, Lu G. "Altered resting-state brain activity at functional MR imaging during the progression of hepatic encephalopathy." Radiology.. 2012 Jul 0; 264(1):187-95. Epub 2012 Apr 16. Zhang L, Qi R, Wu S, Zhong J, Zhong Y, Zhang Z, Zhang Z, Lu G. "Brain default-mode network abnormalities in hepatic encephalopathy: a resting-state functional MRI study." Human brain mapping.. 2012 Jun 0; 33(6):1384-92. Epub 2011 May 12. Tian W, Zhu T, Zhong J, Liu X, Rao P, Segal BM, Ekholm S. "Progressive decline in fractional anisotropy on serial DTI examinations of the corpus callosum: a putative marker of disease activity and progression in SPMS." Neuroradiology.. 2012 Apr 0; 54(4):287-97. Epub 2011 May 13. Cai C, Lin Y, Cai S, Sun H, Zhong J, Chen Z. "Flat pancake distant dipolar fields for enhancement of intermolecular multiple-quantum coherence signals." The Journal of chemical physics.. 2012 Mar 7; 136(9):094503. Bazarian JJ, Zhu T, Blyth B, Borrino A, Zhong J. "Subject-specific changes in brain white matter on diffusion tensor imaging after sports-related concussion." Magnetic resonance imaging.. 2012 Feb 0; 30(2):171-80. Epub 2011 Nov 12. Mani, M; Jacob, M; Guidon, A; Magnotta, V; Zhong, JH. "Accelerating Non-Cartesian Sense for Large Coil Arrays: Application to Motion Compensation in Multishot DWI." Transaction of the IEEE International Symposium on Biomedical Imaging (ISBI). 2012; . Mani, M; Jacob, M; Guidon, A; Liu, C; Song, A; Magnotta, V; Zhong, JH. "Acceleration of High Angular and Spatial Resolution Difusion Imaging Using Compressive Sensing." Transaction of the IEEE International Symposium on Biomedical Imaging (ISBI). 2012; . Zhang, LJ; Qi, R; Zhong, JH; Xu, Q; Zheng, G; Lu, GM. "The Effect of Hepatic Encephalopathy, Hepatic Failure, and Portosystemic Shunt on Brain Volume Changes of Cirrhotic Patients: A Voxel-based Morphometry Study." PLoS One. 2012; 7(8): e42824. Bazarian, JJ; Zhu, T; Blyth, B; Borrino, A; Zhong, JH. "Subject-specific Changes in Brian White Matter After Sports-related Concussion." Magn Reson Imaging. 2012; 30: 171-180. Qi R, Zhang LJ, Xu Q, Zhong J, Wu S, Zhang Z, Liao W, Ni L, Zhang Z, Chen H, Zhong Y, Jiao Q, Wu X, Fan X, Liu Y, Lu G. "Selective impairments of resting-state networks in minimal hepatic encephalopathy." PloS one.. 2012 7(5):e37400. Epub 2012 May 25. Ni L, Qi R, Zhang LJ, Zhong J, Zheng G, Zhang Z, Zhong Y, Xu Q, Liao W, Jiao Q, Wu X, Fan X, Lu GM. "Altered regional homogeneity in the development of minimal hepatic encephalopathy: a resting-state functional MRI study." PloS one.. 2012 7(7):e42016. Epub 2012 Jul 25. Qi R, Xu Q, Zhang LJ, Zhong J, Zheng G, Wu S, Zhang Z, Liao W, Zhong Y, Ni L, Jiao Q, Zhang Z, Liu Y, Lu G. "Structural and functional abnormalities of default mode network in minimal hepatic encephalopathy: a study combining DTI and fMRI." PloS one.. 2012 7(7):e41376. Epub 2012 Jul 20. Zhang LJ, Qi R, Zhong J, Xu Q, Zheng G, Lu GM. "The effect of hepatic encephalopathy, hepatic failure, and portosystemic shunt on brain volume of cirrhotic patients: a voxel-based morphometry study." PloS one.. 2012 7(8):e42824. Epub 2012 Aug 13. Qi R, Zhang LJ, Zhong J, Wu S, Zhang Z, Zhong Y, Ni L, Zheng G, Jiao Q, Wu X, Fan X, Liu Y, Lu G. "Dynamic changes of intrinsic brain activity in cirrhotic patients after transjugular intrahepatic portosystemic shunt: a resting-state FMRI study." PloS one.. 2012 7(10):e46681. Epub 2012 Oct 02. Liu X, Kolar B, Tian W, Germin BI, Huang Y, Hu R, Zhong J, Ekholm S. "MR perfusion-weighted imaging may help in differentiating between nonenhancing gliomas and nonneoplastic lesions in the cervicomedullary junction." Journal of magnetic resonance imaging : JMRI.. 2011 Jul 0; 34(1):196-202. Epub 2011 May 25. Zhu T, Hu R, Qiu X, Taylor M, Tso Y, Yiannoutsos C, Navia B, Mori S, Ekholm S, Schifitto G, Zhong J. "Quantification of accuracy and precision of multi-center DTI measurements: a diffusion phantom and human brain study." NeuroImage.. 2011 Jun 1; 56(3):1398-411. Epub 2011 Feb 18. Lin Y, Cai C, Cai S, Zhong J, Chen Z. "High-resolution MR spectroscopy via intermolecular double-quantum coherences in inhomogeneous B0 and B1 fields." Magnetic resonance imaging.. 2011 Jun 0; 29(5):601-7. Epub 2011 Apr 29. Harezlak J, Buchthal S, Taylor M, Schifitto G, Zhong J, Daar E, Alger J, Singer E, Campbell T, Yiannoutsos C, Cohen R, Navia B, . "Persistence of HIV-associated cognitive impairment, inflammation, and neuronal injury in era of highly active antiretroviral treatment." AIDS.. 2011 Mar 13; 25(5):625-33. Lin Y, Chen Z, Zhong J. "Signal-to-noise ratio enhancement of intermolecular double-quantum coherence MR spectroscopy in inhomogeneous fields with phased array coils on a 3 Tesla whole-body scanner." Journal of magnetic resonance imaging : JMRI.. 2011 Mar 0; 33(3):698-703. Schifitto G, Deng L, Yeh TM, Evans SR, Ernst T, Zhong J, Clifford D. "Clinical, laboratory, and neuroimaging characteristics of fatigue in HIV-infected individuals." Journal of neurovirology.. 2011 Feb 0; 17(1):17-25. Epub 2010 Dec 23. Mangla, R; Kolar, B; Zhu, T; Zhong, JH; Ekholm, S. "Percentage Signal Recovery Derived from MR Dynamic Susceptibility Contrast Imaging is Useful to Differentiate Common Enhancing Malignant Lesions of the Brain." AJNR Am J Neuroradiol. 2011; 10.3174/ajnr.A2441. YQ, L; Chen, Z; Zhong, JH. "SNR Enhancement of Intermolecular Double-quantum Coherence MRS in Inhomogeneous Fields with Phased Array Coils on a 3T Whole-body Scanner." Magnetic Resonance Imaging. 2011; 33(3): 698-303. Harezlak, J; Buchthal, S; Taylor, M; Schifitto, G; Zhong, JH; Daar, E; Alger, J; Singer, E; Campbell, T; Yiannoutsos, C; Cohen, R; Navia, B; the HIV Neuroimaging Consortium. "AIDS". Epub ahead of PMID: 21297425. 2011; . Wu S, Zhang L, Zhong J, Zhang Z. "Dual contrast magnetic resonance imaging tracking of iron-labeled cells in vivo." Cytotherapy.. 2010 Nov 0; 12(7):859-69. Liu X, Germin BI, Zhong J, Ekholm S. "N-Acetyl peak in MR spectra of intracranial metastatic mucinous adenocarcinomas." Magnetic resonance imaging.. 2010 Nov 0; 28(9):1390-4. Epub 2010 Aug 24. Cohen RA, Harezlak J, Gongvatana A, Buchthal S, Schifitto G, Clark U, Paul R, Taylor M, Thompson P, Tate D, Alger J, Brown M, Zhong J, Campbell T, Singer E, Daar E, McMahon D, Tso Y, Yiannoutsos CT, Navia B, . "Cerebral metabolite abnormalities in human immunodeficiency virus are associated with cortical and subcortical volumes." Journal of neurovirology.. 2010 Nov 0; 16(6):435-44. Epub 2010 Oct 20. Cai C, Gao F, Cai S, Zhong J, Chen Z. "Highly efficient square wave distant dipolar field and its application for in vivo MRI." Magnetic resonance in medicine.. 2010 Oct 0; 64(4):1128-34. Mangla R, Singh G, Ziegelitz D, Milano MT, Korones DN, Zhong J, Ekholm SE. "Changes in relative cerebral blood volume 1 month after radiation-temozolomide therapy can help predict overall survival in patients with glioblastoma." Radiology.. 2010 Aug 0; 256(2):575-84. Epub 2010 Jun 07. Liu X, Zhu T, Gu T, Zhong J. "Optimization of in vivo high-resolution DTI of non-human primates on a 3T human scanner." Methods : a companion to Methods in enzymology.. 2010 Mar 0; 50(3):205-13. Epub 2009 Jul 03. Lin Y, Gu T, Chen Z, Kennedy S, Jacob M, Zhong J. "High-resolution MRS in the presence of field inhomogeneity via intermolecular double-quantum coherences on a 3-T whole-body scanner." Magnetic resonance in medicine.. 2010 Feb 0; 63(2):303-11. Lin, Y; Gu, T; Chen, Z; Kennedy, SD; Zhong, JH. "3T Human Whole-cerebellum High-resolution MRS Via Intermolecular Double-quantum Coherences." Magn. Reson. Med. 2010; 63: 303-311. Huang, Y; Zhang, W; Cai, S; Zhong, JH, Chen, Z. "Homonuclear Decoupled Proton NMR Spectra in Modest to Severe Inhomogeneous Fields Via Distant Dipolar Interactions." Chemical Physics Letters. 2010; 492: 174-178. Deng, L; Yeh, T; Evans, SR; Ernst; T; Zhong, JH; Clifford, DB; Schifitto, G. "Clinical, Laboratory and Neuroimaging Characteristics of Fatigue in HIV Infected Individuals." Journal of NeuroVirology. 2010; . Lin Y, Chen Z, Cai S, Zhong J. "High-resolution J-scaling nuclear magnetic resonance spectra in inhomogeneous fields via intermolecular multiple-quantum coherences." Applied spectroscopy.. 2009 May 0; 63(5):585-90. Liu X, Zhu T, Gu T, Zhong J. "A practical approach to in vivo high-resolution diffusion tensor imaging of rhesus monkeys on a 3-T human scanner." Magnetic resonance imaging.. 2009 Apr 0; 27(3):335-46. Epub 2008 Sep 02. Chen X, Lin M, Chen Z, Zhong J. "Fast acquisition scheme for achieving high-resolution MRS with J-scaling under inhomogeneous fields." Magnetic resonance in medicine.. 2009 Apr 0; 61(4):775-84. Schifitto G, Zhong J, Gill D, Peterson DR, Gaugh MD, Zhu T, Tivarus M, Cruttenden K, Maggirwar SB, Gendelman HE, Dewhurst S, Gelbard HA. "Lithium therapy for human immunodeficiency virus type 1-associated neurocognitive impairment." Journal of neurovirology.. 2009 Apr 0; 15(2):176-86. Chen Z, Cai S, Chen Z, Zhong J. "Fast acquisition of high-resolution NMR spectra in inhomogeneous fields via intermolecular double-quantum coherences." The Journal of chemical physics.. 2009 Feb 28; 130(8):084504. Zhu T, Liu X, Gaugh MD, Connelly PR, Ni H, Ekholm S, Schifitto G, Zhong J. "Evaluation of measurement uncertainties in human diffusion tensor imaging (DTI)-derived parameters and optimization of clinical DTI protocols with a wild bootstrap analysis." Journal of magnetic resonance imaging : JMRI.. 2009 Feb 0; 29(2):422-35. Wong, CK; Zhong, JH. "Roles of Magnetic Gradient Field and Transverse Relaxation in Distant Dipolar Field Signal." Concept. Magn. Reson. 2009; Part A 34A: 76-90. Kavcic V, Ni H, Zhu T, Zhong J, Duffy CJ. "White matter integrity linked to functional impairments in aging and early Alzheimer's disease." Alzheimer's & dementia : the journal of the Alzheimer's Association.. 2008 Nov 0; 4(6):381-9. Zhang S, Zhu X, Chen Z, Cai C, Lin T, Zhong J. "Improvement in the contrast of CEST MRI via intermolecular double quantum coherences." Physics in medicine and biology.. 2008 Jul 21; 53(14):N287-96. Epub 2008 Jun 23. Cai C, Lin Y, Cai S, Chen Z, Zhong J. "High-resolution NMR spectra in inhomogeneous fields utilizing the CRAZED sequence without coherence selection gradients." Journal of magnetic resonance.. 2008 Jul 0; 193(1):94-101. Epub 2008 Apr 22. Zhu T, Liu X, Connelly PR, Zhong J. "An optimized wild bootstrap method for evaluation of measurement uncertainties of DTI-derived parameters in human brain." NeuroImage.. 2008 Apr 15; 40(3):1144-56. Epub 2008 Jan 26. Lin Y, Chen Z, Cai S, Zhong J. "Accurate measurements of small J coupling constants under inhomogeneous fields via intermolecular multiple-quantum coherences." Journal of magnetic resonance.. 2008 Feb 0; 190(2):298-306. Epub 2007 Nov 22. Cai, C; Lin, M; Chen, Z; Chen, X; Cai, S; Zhong, JH. "SPROM-An Efficient Programfor NMR/MRI Simulations of Inter-and Intra-molecular Multiple Quantum Coherences." C. R. Physique. 2008; 9: 119-126. Chen X, Lin M, Chen Z, Cai S, Zhong J. "High-resolution intermolecular zero-quantum coherence spectroscopy under inhomogeneous fields with effective solvent suppression." Physical chemistry chemical physics : PCCP.. 2007 Dec 21; 9(47):6231-40. Epub 2007 Oct 16. Lin T, Sun H, Chen Z, You R, Zhong J. "Numerical simulations of motion-insensitive diffusion imaging based on the distant dipolar field effects." Magnetic resonance imaging.. 2007 Dec 0; 25(10):1409-16. Epub 2007 Jun 13. Bazarian JJ, Zhong J, Blyth B, Zhu T, Kavcic V, Peterson D. "Diffusion tensor imaging detects clinically important axonal damage after mild traumatic brain injury: a pilot study." Journal of neurotrauma.. 2007 Sep 0; 24(9):1447-59. Wong CK, Kennedy SD, Kwok E, Zhong J. "Theoretical studies of the effect of the dipolar field in multiple spin-echo sequences with refocusing pulses of finite duration." Journal of magnetic resonance.. 2007 Apr 0; 185(2):247-58. Epub 2007 Jan 10. Zhu, XQ; Chen, S; Chen, Z; Cai, SH; Zhong, JH. "Simultaneous Acquisition and Effective Separation of Different Orders of Intermolecular Multiple-quantum Signals." Chemical Physics Letters. 2007; 438: 308-314. Gu, T; Kennedy, SD; Chen, Z; Zhong, JH. "Functional MRI at 3T Using Intermolecular Double Quantum Coherence (iDQC) with Spin-echo or Gradient-echo Acquisitions." Magn Reson Mater Phy (MAGMA). 2007; 20: 255-264. Zheng B, Chen Z, Kennedy SD, Zhong J. "iDQC MRI weighted by longitudinal relaxation in the rotating frame." Magnetic resonance in medicine.. 2006 Aug 0; 56(2):327-33. Hiwatashi A, Zhong J, Ekholm SE, Westesson PL. "Fractional anisotropy is higher in Heschl's gyrus than in superior temporal gyrus in normal subjects." Academic radiology.. 2006 Jan 0; 13(1):73-6. Zhu, X; Chen, Z; Cai, S; Zhong, JH. "Formation and Identification of Pur Intermolecular Zero-quantum Coherence Signal in Liquid NMR". Chemical Physics Letters. 2006; 421: 171-178. Ni, H; Kavcic, V; Zhu, T; Ekholm, S; Zhong, JH. "Effects of Number of Diffusion Gradient Directions on Derived DTI Indices in Human Brain." Am J. Neuro Rad. 2006; 27: 1776-81. Schifitto, G; Peterson, DR; Zhong, JH; Ni, H; Cruttenden, K; Gaugh, M; Gendelman, HE; Bostka, M; Gelbard, H. "Valproic Acid Adjunctive Therapy for HIV-Associated Cognitive Impairment: A First Report." Neurology. 2006; 66: 919-921. Chen, X; Zhu, Q; Zheng, BW; Cai, SH; Zhong, JH. "Double-quantum-filtered Intermolecular Single-quantum Coherences in Nuclear Magnetic Resonance Spectroscopy and Imaging." Chemical Physics Letter. 2006; 429: 611-616. Chen, Z; Zhu, XQ; Cai, SH; Zhong, JH. "Suppression of Undesired Peaks Due to Residual Intermolecular Dipolar Interactions in Liquid NMR." Chemica Physics Letters. 2006; 417: 48-52. Zheng B, Chen Z, Cai S, Zhong J, Ye C. "Theoretical formalism and experimental verification of line shapes of NMR intermolecular multiple-quantum coherence spectra." The Journal of chemical physics.. 2005 Aug 15; 123(7):074317. Cai C, Chen Z, Cai S, Zhong J. "A simulation algorithm based on Bloch equations and product operator matrix: application to dipolar and scalar couplings." Journal of magnetic resonance.. 2005 Feb 0; 172(2):242-53. Zhu, XQ; Cai, CB; Chen, Z; Zhong, JH. "Multiplet Patters of Inter-molecular Double Quantum-coherences from Dipolar and Sclar Couplings in Solution Nuclear Magnetic Resonance." Chin Phys. 2005; 14: 516-523. Cai, C; Chen, Z; Cai, S; Zhu, X; Zhong, JH. "Propagator Formalism and Computer Simulation of Restricted Behavior of Inter-molecular Multiple-quantum Coherences." Physica B-Condensed Matter. 2005; 366: 127-137. Cai, C; Chen, Z; Cai, S; Zhu, X; Zhong, JH. "Finite Difference Simulation of Diffusion Behaviors Under Inter- and Intra-molecular Multiple-quantum Coherences in Liquid NMR." Chemical Physics Letters. 2005; 407: 438-443. Zhu, XQ; Chen Z; Cai, CB; Zhong, JH. "Selection of Intra- or Inter-molecular Multiple-quantum-coherences in NMR of Highly Polarized Solution." Physica B. 2005; : 286-294. Chen Z, Chen ZW, Hwang DW, Zhong J, Hwang LP. "Separation and characterization of different signals from intermolecular three-spin orders in solution NMR." Journal of magnetic resonance.. 2004 Dec 0; 171(2):244-52. Kennedy SD, Zhong J. "Diffusion measurements free of motion artifacts using intermolecular dipole-dipole interactions." Magnetic resonance in medicine.. 2004 Jul 0; 52(1):1-6. Rohlfing T, Maurer CR, O'Dell WG, Zhong J. "Modeling liver motion and deformation during the respiratory cycle using intensity-based nonrigid registration of gated MR images." Medical physics.. 2004 Mar 0; 31(3):427-32. Chen Z, Chen Z, Zhong J. "High-resolution NMR spectra in inhomogeneous fields via IDEAL (intermolecular dipolar-interaction enhanced all lines) method." Journal of the American Chemical Society.. 2004 Jan 21; 126(2):446-7. Hou, T; Chen, D; Hwang, W; Zhong, JH, Hwang, LP. "Intermolecular Double-quantum Coherence MR Microimaging of Pig Tail with Unique Image Contrast." Magn. Reson. Imaging. 2004; 22: 543-550. Zhu, XQ; Chen, S; Chen, Z; Zhong, JH. "Intra- and Inter-molecular Multiple-quantum Coherences in Liquid Nuclear Magnetic Resonance." Recent Research Developments in Chemical Physics. 2004; 5: 423-435. Zhong, JH; Chen, Z; Kennedy, SD. "Properties and Applications of Intermolecular Dipole-Dipole Interacitons in Biomedical NMR." Recent Res. Devel. Chem. Phys TRANSWORLD RESEARCH NETWORK. 2004; 5: 23-55. Li, TQ; Zhong, JH. "Measurements of CBF, CBV, and BOLD with Arterial Spin Labeling Sequences Based on Spiral Acquisitions." ISMRM Workshop on Perfusion, Venice, Italy. 2004; . Zhong, JH; Ni, H; Zhu, T; Ekholm, S; Kavcic, V. "MR DIffusion Tensor Imaging (DTI) and Neuropsychological Testing for Neuronal Connectivity in Alzheimer's Disease (AD) Patients." Proceeding of SPIE Medical Imaging. 2004; 5369: 238-249. Kwok WE, Zhong J, You Z, Seo G, Totterman SM. "A four-element phased array coil for high resolution and parallel MR imaging of the knee." Magnetic resonance imaging.. 2003 Nov 0; 21(9):961-7. Zhong J, Kwok WC, Okunieff P. "fMRI for monitoring dynamic changes in tissue oxygenation/blood flow: potential applications for tumor response to carbogen treatment." Advances in experimental medicine and biology.. 2003 530:449-59. Kavcic V, Zhong J, Yoshiura T, Doty RW. "Frontal cortex, laterality, and memory: encoding versus retrieval." Acta neurobiologiae experimentalis.. 2003 63(4):337-50. Zhong J, Chen Z, Kwok WE, Kennedy S, You Z. "Optimization of blood oxygenation level-dependent sensitivity in magnetic resonance imaging using intermolecular double-quantum coherence." Journal of magnetic resonance imaging : JMRI.. 2002 Dec 0; 16(6):733-40. Chen, Z; Zhong, JH. "Observations and Characterization of Intermolecular Homonuclear Single-quantum Coherences in Liquid NMR." J. Chem. Phys. 2002; 117: 8426-35. Zhong, JH; Chen Z; Kwok, WE. "MR Imaging with Intermolecular Multiple-quantum Coherences (iMQCs): Fundamental Questions and Potentials." 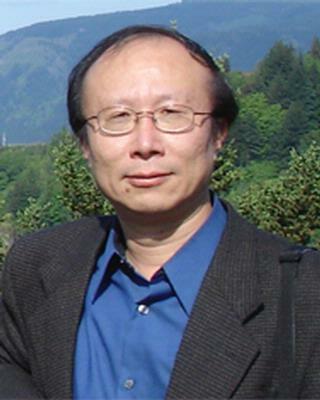 BOPUXUE ZAZHI (Chinese Journal of Magnetic Resonance). 2002; 19: 94-95. Moritani T, Shrier DA, Numaguchi Y, Takahashi C, Yano T, Nakai K, Zhong J, Wang HZ, Shibata DK, Naselli SM. "Diffusion-weighted echo-planar MR imaging of CNS involvement in systemic lupus erythematosus." Academic radiology. 2001; 8(8): 741-53. Higano, S; Zhong, JH; Shrier, DA; shibata, DK; Takase, Y; Wang, H; Numaguchi, Y. "DIffusion Anisotropy of the Internal Capsule and the Corona Radiata in Association with Stroke and Tumors as Measured by Diffusion-weighted MR Imaging." AJNR Am J Neuroradiol. 2001; 22: 456-463. Zhong, JH; Kwok, E; Chen, Z. "fMRI of Auditory Stimulation with Intermolecular Double-quantum Coherences at 1.5T." Magn. Reson. Med. 2001; 45: 356-364. Zhong, JH; Chen, Z; Kwok, WE. "Enhanced Sensitivity to Molecular Diffusion with Intermolecular Multiple-quantum Coherences: Implications and Potential Applications." Magn. Reson. Imag. 2001; 19: 33-39. Chen, Z; Lin, G; Zhong, JH. "Diffusion of Intermolecular Zero and Double-quantum Coherences in Two-component Spin Systems." Chem Phy. Lett. 2001; 333: 96-102. Chen, Z; Chen, GZ; Zhong JH. "Quantitative Study of Longitudinal Relaxation Related to Intermolecular Dipolar Interactions in Solution NMR." Chem Phy. Lett. 2001; 333: 126-132. Kwok, WE; Totterman, SM; Zhong, JH. "Interleaved Water and Fat Dual-echo Spin Echo Imaging with Intrinsic Chemical-shift Elimination." J. Magn. Reson. Imag. 2001; 13: 318-323. Chen, Z; Zhong, JH. "Unconventional Diffusion Behaviors of Intermolecular Multiple-quantum Coherences in Nuclear Magnetic Resonance." J. Chem. Phys. 2001; 114: 5642-53. Lin, G; Chen, Z; Zhong, JH; Lin, D; Liao, X. "A Novel Propagator Approach for NMR Signal Attenuation Due to Anisotropic Diffusion Under Various Magnetic Field Gradients." Chem Phy. Lett. 2001; 335: 249-256. Rohlfing, T; Maurer Jr., CR; O'Dell, W; Schell, MC; Zhong, JH. "Modeling Liver Motion and Deformation During the Respiratory Cycle Using Intensity-based Free-form Registration of Gated MR Images." Proceeding of SPIE Medical Imaging: Visualization, Display, and Image-guided Procedures. 2001; 4319: 337-348. Shibata, D; Kwok, WE; Zhong, JH; Shrier, D; Numaguchi, Y. "Functional MRI of Vision i the Deaf." Acad. Radiol. 2001; 8: 598-604. Zheng, S; Chen, Z; Chen, ZW; Zhong, JH. "Direct Measurement of Transverse Relaxation Time of Intermolecular Multiple Quantum Coherences in NMR." Chinese Phys. 2001; 10: 558-563. Moritani, T; Shrier, DA; Numaguchi, Y; Takahashi, C; Yano, T; Nakai, K; Zhong, JH; Wang, HZ; Shibata, DK; Naselli, SM. "Diffusion-weighted Echo-planar MR Imaging of CNS Involvement in Systemic Lupus Erythematosus." Acad. Radiol. 2001; 8: 741-753. Chen, Z; Chen, ZW; Zhong, JH. "Quantitative Characterization of Intermolecular Dipolar Interactions of Two-component Systems in Solution NMR." J. Chem Phys. 2001; 115: 10769-79. Chen, Z; Zheng, S; Zhong, JH. "Optimal RF Flip Angles for Intermolecular Multiple-quantum Coherences of Different Orders with the CRAZED Pulse Sequence." Chem Phy. Lett. 2001; 347: 143-148. Zhong, JH; Chen, Z; Zheng, S; Kennedy, SD. "Theoretical and Experimental Characterization of NMR Transverse Relaxation Process Related to Intermolecular Dipolar Interactions." Chem Phy. Lett. 2001; 350: 260-268. Chen, Z; Kennedy, SD; Zhong, JH. "Quantitation of Intermolecular Dipolar Effects in NMR Spectroscopy and Imaging Based on Demagnetizing Field Theory." Mag. Reson. Materials Phys. Bio. Med. 2000; 11: 122-128. Zhong, JH; Chen, Z; Kwok, E. "New Image Contrast Mechanisms in Intermolecular Double-quantum Coherence Human MR Imaging." J. Magn. Reson. Imag. 2000; 12: 311. Kwok, WE; Totterman, SM; Zhong, JH. "Three-dimensional Interleaved Water and Fat Image Acquisition with Chemical-shift Correction". Magn. Reson. Med. 2000; 44: 322. Zhong, JH; Chen, Z; Kwok, WE. "In Vivo Intermolecular Double-quantum Imaging on a Clinical 1.5T MR Scanner". Magn. Reson. Med. 2000; 43: 335-341. Yoshiura, T; Zhong, JH; Shibata, DK; Kwok, WE; Shrier, DA; Numaguchi, Y. "Functional MRI Study of Auditory and Visual Oddball Tasks". NeuroReport. 1999; 10: 1683. Fuji, H; Wan, X; Zhong, JH, Berliner, LJ; Yoshikawa, K. "In Vivo Imaging of Spin-Trapped Nitric Oxide in Rats with Septic Shock: MRI Spin Trapping". Magn. Reson. Med. 1999; 42: 235. Chen, Z; Kwok, E; Zhong, JH. "Optimized Gradient Pulse Design for Fast Diffusion-weighted MR Imaging on a Clinical Scanner". Radiology. 1999; 123(P): 502. Chen, Z; Kennedy, SD; Zhong, JH. "Theoretical and Experimental Confirmation of Intermolecular Dipolar Effects Under Time-averaged Magnetic Filed Gradients". Chem. Phys. Lett. 1999; 313: 217. Zhong, JH; Richard, RP; Fulbright, RK; Gore, JC. "Quantitation of Intravascular and Extravascular Contributions to BOLD Effects Induced by Alternation in Oxygenation or Intravascular Contrast Agents". Magn. Reson. Med. 1998; 40: 526. Does, MD; Zhong, JH; Gore, JC. "In-Vivo Measurement of ADC Change Due to Intravascular Susceptibility Variation". Magn. Reson. Med. 1998; 41: 236. Zhong, JH; Petroff, OAC; Gore, JC; Prichard, JW. "Reversible, Reproducible Reduction of Brain Water Apparent Diffusion Coefficent by Cortical Electroshocks". Magn. Reson. Med. 1997; 37: 1. Kennan, RP; Richardson, K; Zhong, JH; Maryanski, M; Gore, JC. "Quantitative Magnetization Transfer in Polyacrylamide Gels: The Role of Cross Linking Density and Chemical Exchange." J. Magn. Reson. B. 1996; 110: 267. Anderson, AW; Zhong, JH; Petroff, OAC; Szafer, A; Ransom, BR; Prichard, JW; Gore, JC. "The Effect of Osmotically-Driven Extracellular Volume Changes of the Rat Optic Nerve on Diffusion Weighted Imaging". Magn. Reson. Med. 1996; 35: 162. Szafer, A; Zhong, JH; Gore, JC. "Theoretical Model for Water Diffusion in Tissues." Magn. Reson. Med. 1995; 33: 697. Graham, GD; Zhong, JH; Schneck, MJ; Gore, JC; Prichard, JW. "Magnetic Resonance Imaging of Drug-induced Changes in Cerebral Perfusion." Stroke. 1995; 26: 165. Prichard,JW; Zhong, JH; Petroff, OAC; Gore, JC. "Diffusion-weighted NMR Imaging Changes Caused by Electrical Activation of the Brain." NMR in Biomed. 1995; 8: 359. Zhong, JH; Petroff, OAC; Prichard, JW; Gore, JC. "Barbiturate-reversible Reduction of Water Diffusion Coefficient in Flurothyl-induced Status Epilepticus in Rats". Magn. Reson. Med. 1995; 33: 253. Kennan, RP; Gao, J; Zhong, JH; Gore, JC. "A General Model of Microcirculatory Blood Flow Effects in Gradient Sensitized MRI". Med. Phys. 1994; 21: 539. Kennan, RP; Zhong, JH; Gore, JC. "Susceptibility Contrast Mechanisms in Tissues". Magn. Reson. Med. 1994; 31: 9. Cheung, A; Zhong, JH; Gore, JC; Cuono, CB. "Localized in Vivo 31P NMR Spectroscopy of Skin Flap Metabolism". Magn. Reson. Med. 1994; 32: 572. Zhong, JH; Kennan, RP; Schaub, M; Gore, JC. "Measurements of Transient Contrast Enhancement by Localized Water NMR Spectroscopy". J. Magn. Reson. Series B. 1994; 104: 111. Graham, GD; Zhong, JH; Petroff, OAC; Constable, RT; Prichard, JW; Gore, JC. "BOLD MRI Monitoring of Changes in Cerebral Perfusion Induced by Acetazolamide and Hypercarbia in the Rat". Magn. Reson. Med. 1994; 31: 557. Graham, GD; Zhong, JH; Petroff, OAC; Constable, RT; Prichard, JW; Gore, JC. "Magnetic Resonance Imaging Monitoring of Changes in Cerebral Perfusion Induced by Acetazolamide and Hypercarbia in the Rat". Stroke. 1994; 25: 270. Zhong, JH; Petroff, OAC; Prichard, JW; Gore, JC. "Changes in Water Diffusion and Relaxation Properties of Rat Cerebrum During Status Epilepticus". Magn. Reson. Med. 1993; 30: 241. Constable, RT; Anderson, AW; Zhong, JH; Gore, JC. "Factors Influencing Contrast in Fast Spin Echo MR Imaging". Magn. Reson. Imag. 1992; 10: 497. Zhong, JH; Gore, JC. "Studies of Restricted Diffusion in Hererogeneous Media Containing Variations in Susceptibility". Magn. Reson. Med. 1991; 19: 276. Zhong, JH; Kennan, RP; Gore, JC. "Effects of Susceptibility Variations on NMR Measurements of Diffusion". J. Magn. Reson. 1991; 95: 267. Kennan, RP; Zhong, JH, Gore JC. "On the Relative Importance of Paramagnetic Relaxation and Diffusion Mediated Susceptibility Losses in Tissues". Magn. Reson. Med. 1991; 22: 197. Zhong, JH; Gore, JC; Armitage, IM. "Quantitative Studies of Hydrodynamic Effects and Cross Relaxation in Protein Solutions and Tissues with Proton and Deuteron Longitudinal Relaxation TImes". Magn. Reson. Med. 1990; 13: 192. Zhong, JH; Bray, PJ. "Determination of Boron Coordinations in Different Alkali Borate Glasses and the Mixed-Alkali Effect". J. Non-Cryst. Solids. 1989; 98: 122. Gore, JC; Brown, JS; Zhong, JH; Mueller, F; Dood, W. "NMR Relaxation of Water in Hydrogel Polymers: A Model for Tissue". Magn. Reson. Med. 1989; 9: 325. Zhong, JH; Gore, JC; Armitage, IM. "Relative Contributions of Chemical Exchange and Other Relaxation Mechanisms in Protein Solutions and Tissues". Magn. Reson. Med. 1989; 11: 295. Gore, JC; Brown, MS; Zhong, JH; Armitage, IM. "Prediction of Proton Relaxation Rates from Measurements of Deuterium Relaxation in Aqueous Systems". J. Magn. Reson. 1989; 83: 246. Zhong, JH, Bray, PJ. "Structural Modeling for Lithium Borosilicate Glasses with NMR Study". J. Non-Cryst. Solids. 1988; 107: 81. Bray, PJ; Gravina, SI; Stallworth, PE; Sze, SP; Zhong, JH. "NMR Studies of the Structure of Glasses". Exp. Tech. Phys. 1988; 15: 397. Zhong, JH; Bray, PJ. "Determination of Gallium Coordination in Cesium Gallate Glasses by High-resolution Pulsed NMR". J. Non-Cryst. Solids. 1987; 94: 122. Zhong, JH; Bray, PJ. "NMR Study of Sodium Boroaluminate Glass at High Sodium Content". J. Non-Cryst Solids. 1986; 84: 17. Author List: Zhong, JH; Kwok, WE; Okunieff, P.
Edited By: Dunn, JF; Swartz, HM. Author List: Gao, JH; Zhong, JH; Fox, P.
Edited By: Barnett, HJM; Mohr, JP; Stein, BM; Yatsu, FM. Author List: Kennan, RP; Zhong, JH; Gore, JC. Author List: Zhong, JH; Bray, PJ. Edited By: LaCourse, WC; Pye, LD; Varshneya, AK; Shelby, JE; Stevens, HJ.